Auckland is the biggest city in New Zealand. 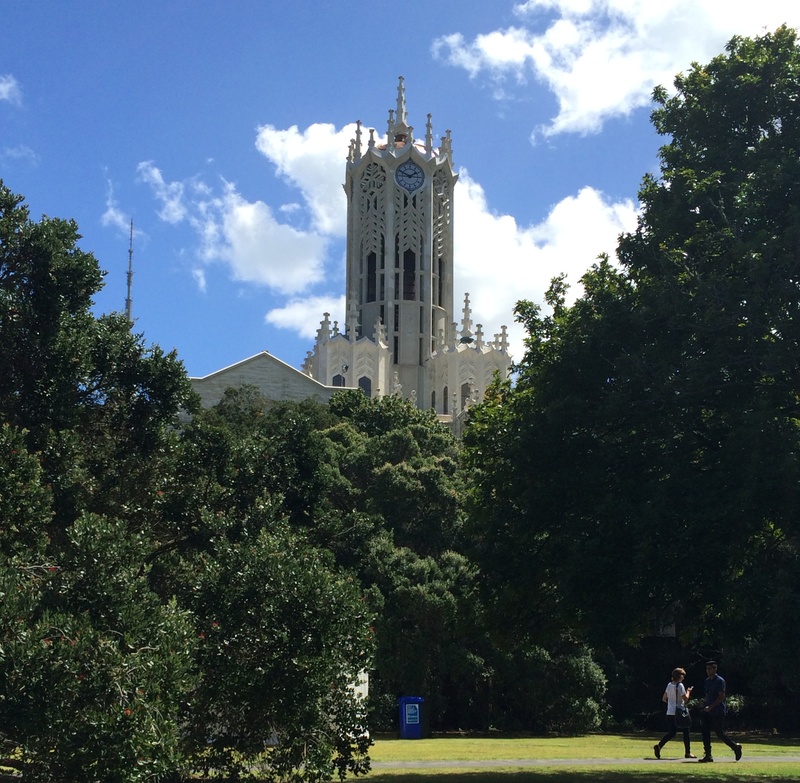 I gave two lectures at the University of Auckland which is located in the heart of the city. Clock tower at the University of Auckland. 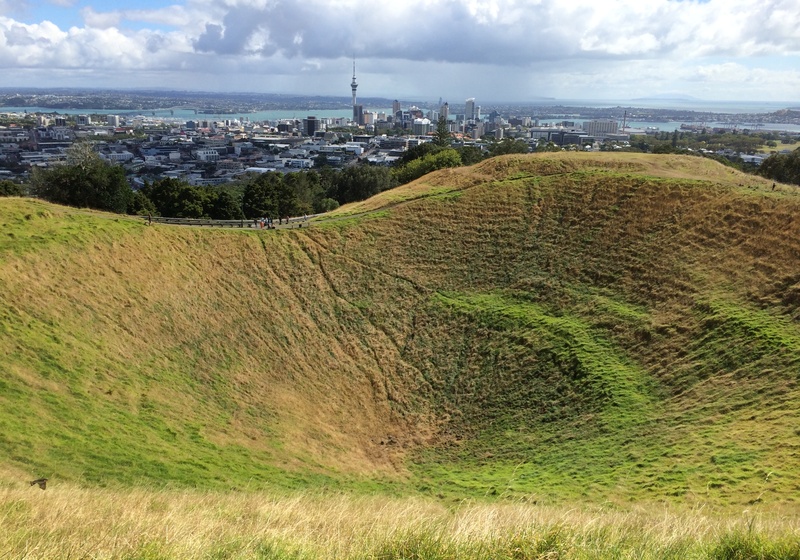 The Auckland area is lovely with many volcanic cones and scenic shorelines and beaches. 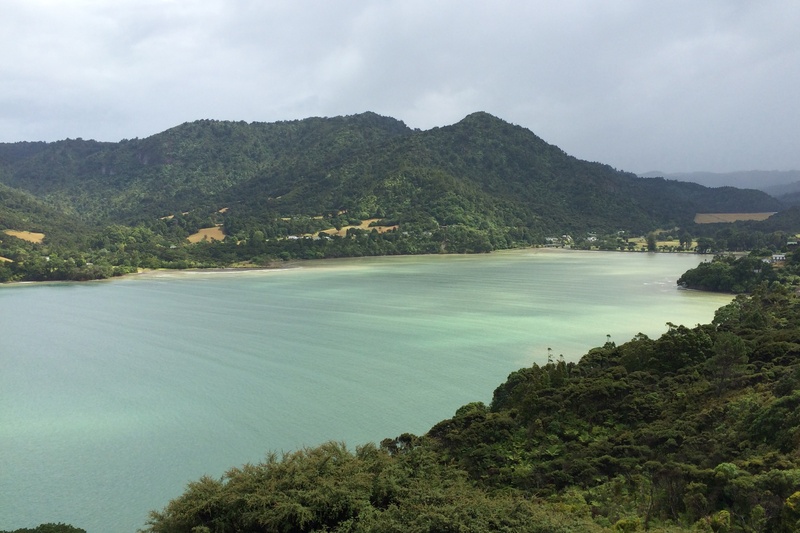 A lovely scene at Huia bay. We had a chance to get in a day of geologizing with local expert Bruce Hayward. 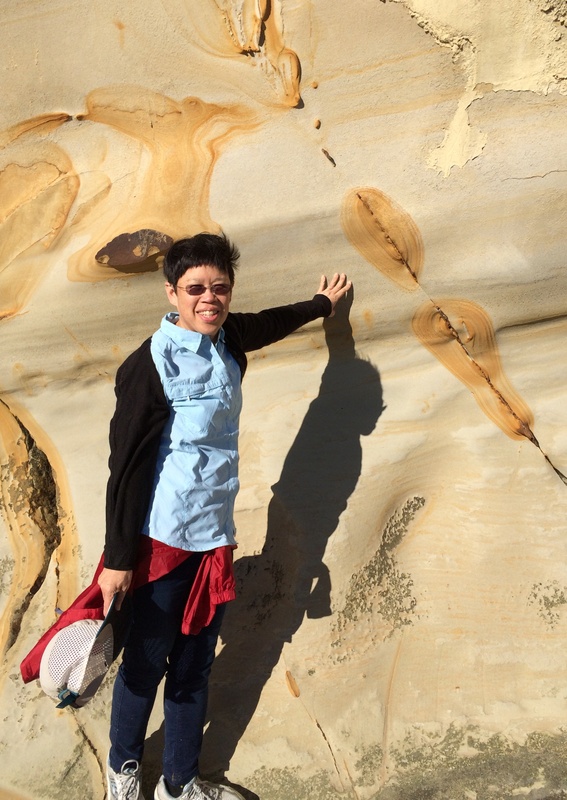 I got to see carbonate concretions, iron mineralization, turbidites, scoria cones, volcanic flows around trees, and more. 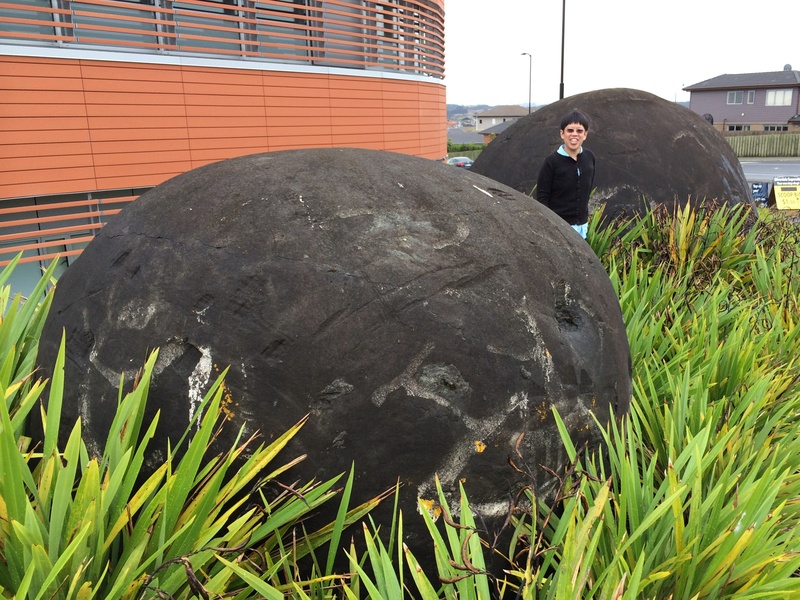 Two large Cretaceous carbonate concretions positioned at an Auckland traffic intersection are even larger than the famed Moeraki boulders of the South Island. 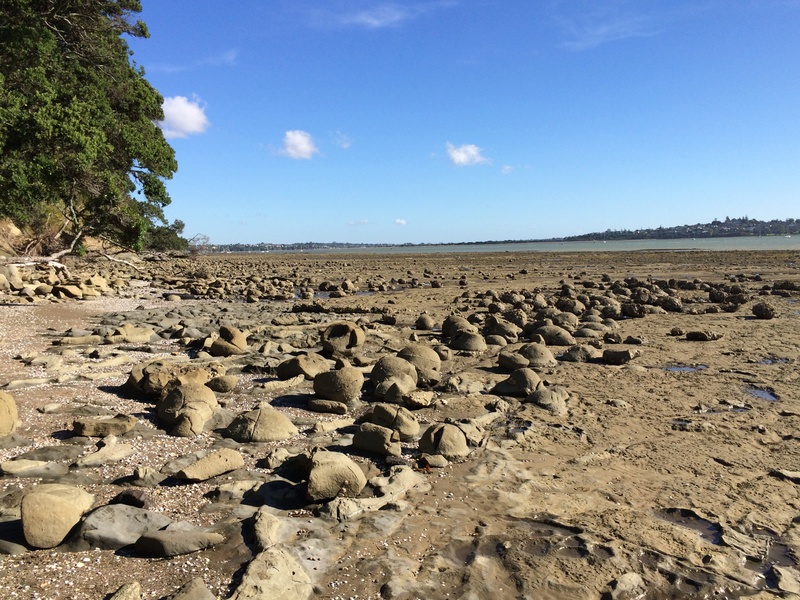 Miocene Waitemata Group carbonate concretions are exposed at Musik Point during low tide. From Mount Eden, one can get a beautiful view of the city of Auckland. The grassy foreground is a crater at the top of the cone. The sides of the cones were terraced by Maori natives for defensive stockades. Our field day covered Auckland’s changing weather: pelting rain, misty showers, and bright sun.